Autumn is (almost) here! 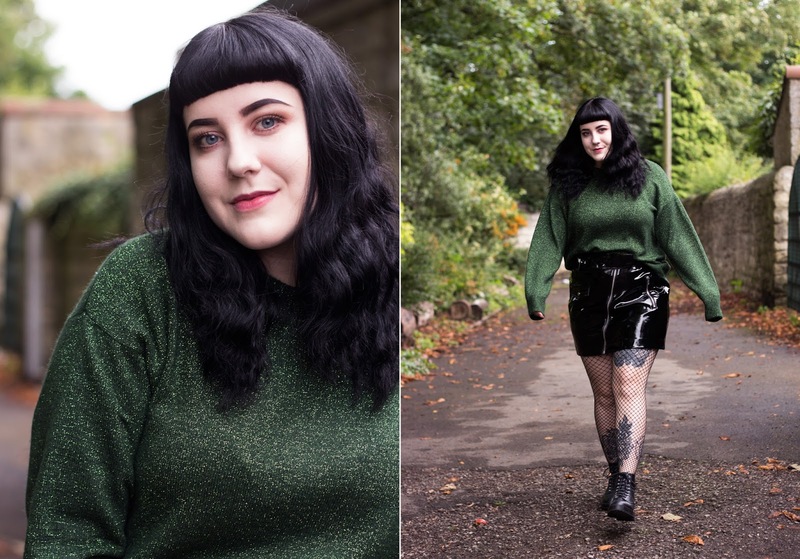 For some reason I've been particularly excited about jumper weather this year, I think this mainly is because the heat has been unbearable in the tiny bit of summer we have had, I don't sit well with being sweaty and sticky. I'd much rather be chilly and have to wrap up in layers and wear jumpers. 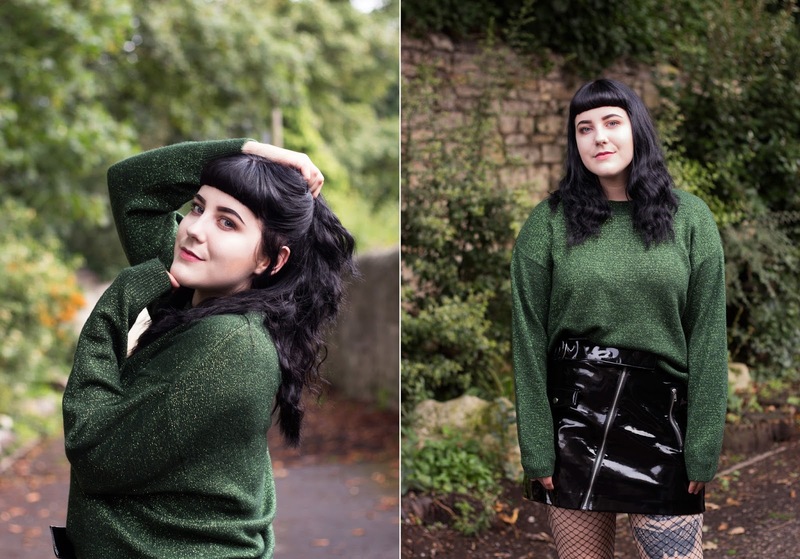 It's still not quite cool enough for a proper woolly jumper so I've been on the look out for lighter knits and H&M really seem to have got it in one when it comes to lighter knit jumpers and bringing in autumn gradually with pieces which aren't too much for the current temperature. Wanting to add a bit of colour is also something I am wanting to stick to, particularly greens, mustard yellow, and reds/oranges. 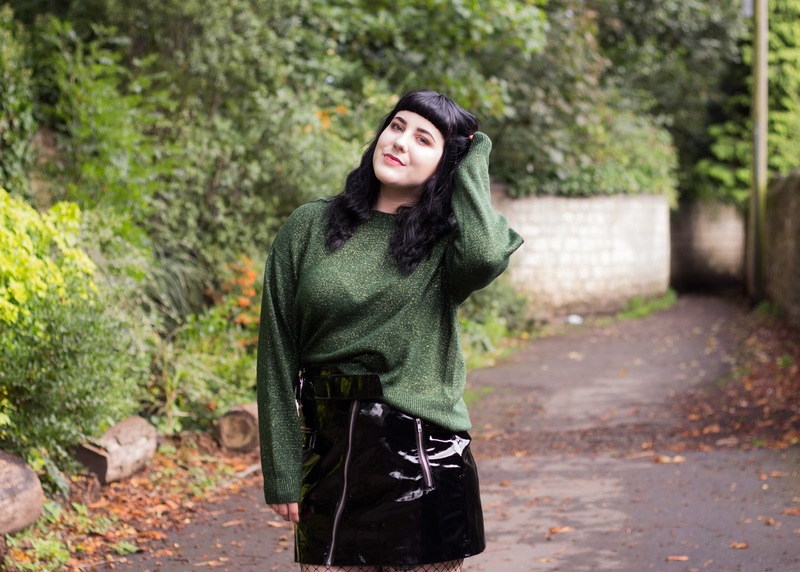 When I saw this glittery jumper (YES glittery!!) initially I was unsure about it, but I came around to the idea of it and it's safe to say that it paid off. 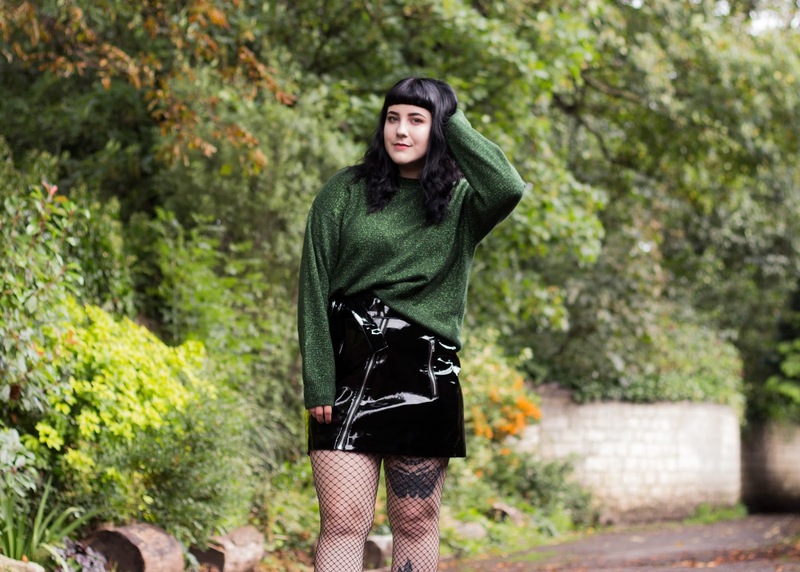 The main reason I've been on the look out for a jumper is so I could style it with this amazing vinyl skirt! Some call it vinyl, some call it PVC, for the sake of this post I'm just gonna call it vinyl. 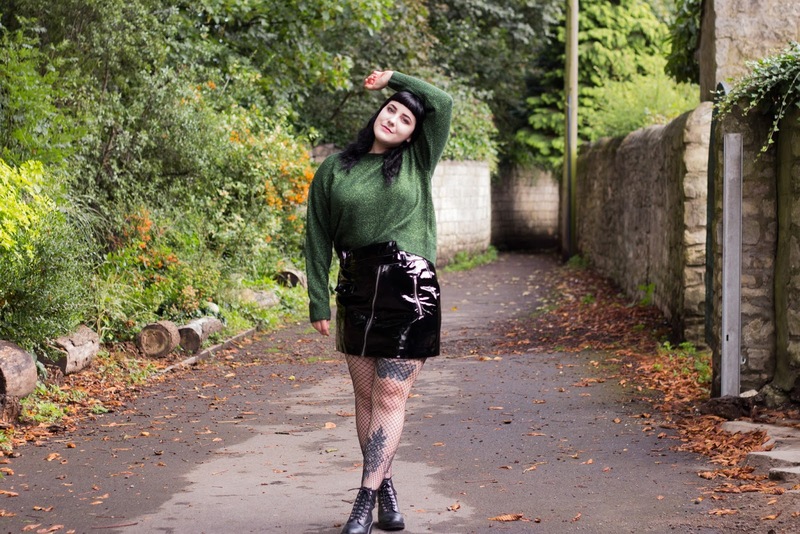 I feel like owning a vinyl item of clothing is a dream for someone with an "alternative style" and I've wanted one for such a long time, I just thought curvy gals like me wouldn't suit it, but of course I was wrong and I really enjoy this piece! 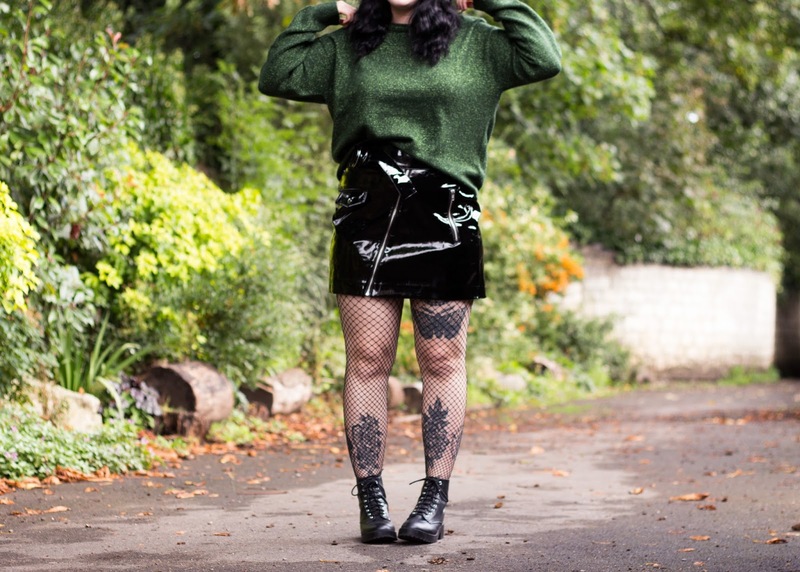 I feel that this is most definitely a statement outfit, usually I stick to one statement piece for an outfit but how could I resist? It's the perfect mix. 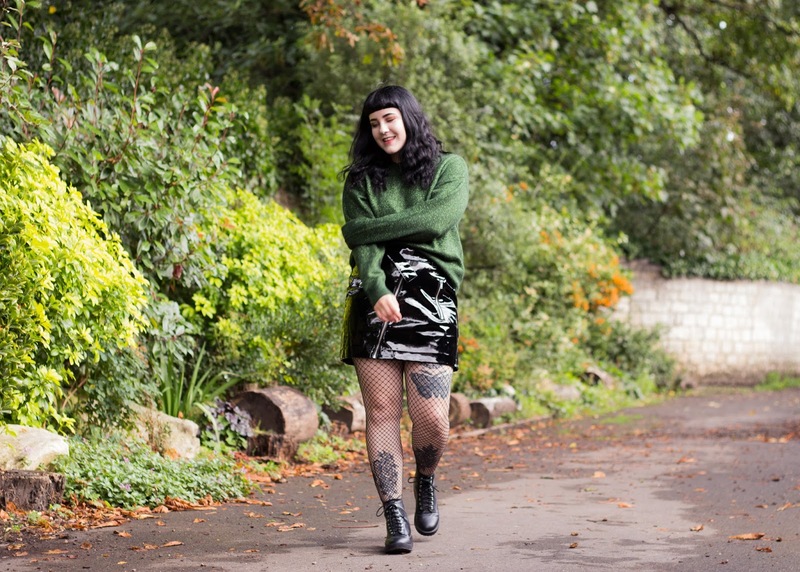 The glitter on the jumper and the shine of the vinyl tie in so well, of course I finished the outfit off with a pair of black boots, I feel like black boots of some form are totally becoming a must have for my outfits that I style on Sister Of The Moon. 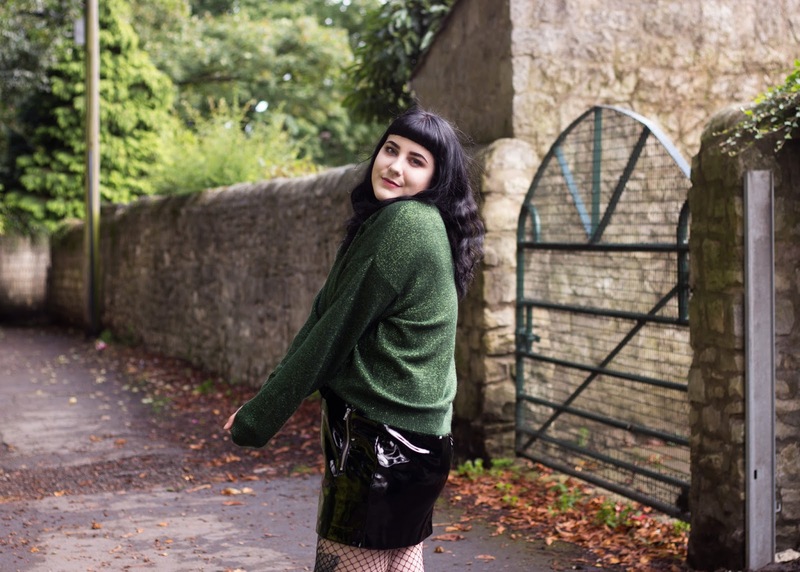 In a typical Kim fashion, I cannot wait to pair this skirt with a striped top and chunky Dr Martens, as much as I love mixing things up with my style I always have my comforts that I love wearing on days when I want an easy pick for an outfit. 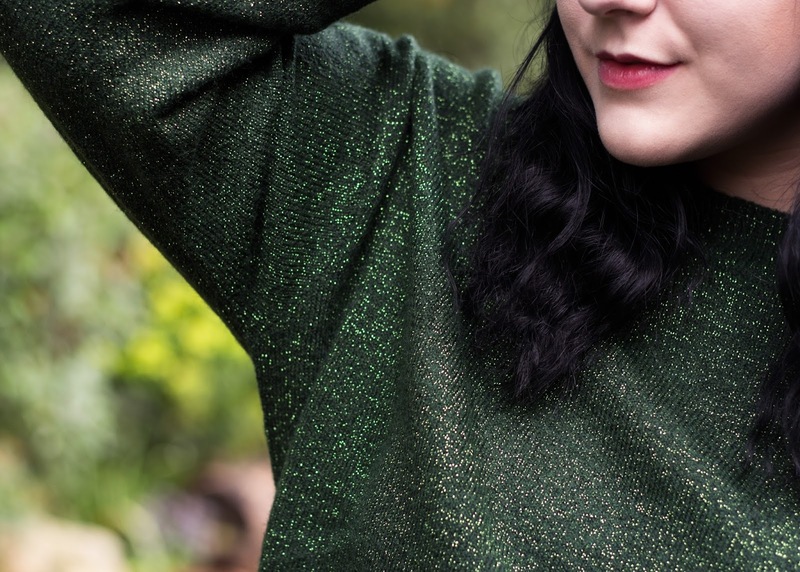 No doubt me wearing a glittery green jumper will be a surprise to some, I sort of feel very Christmassy while wearing it, and I will bring it out at Christmas so it saves me actually buying a Christmas jumper. Two birds one stone, right?! 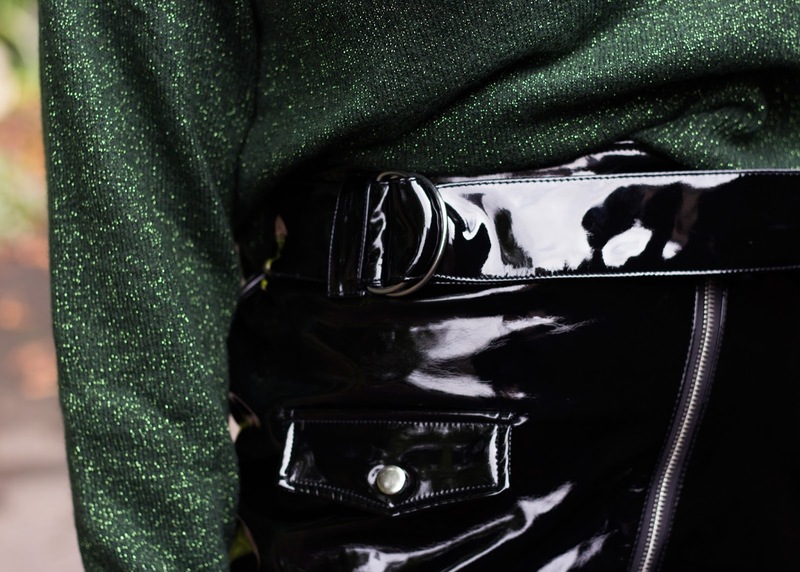 How would you style a vinyl skirt?